Complete your bedroom with this Libra Collection headboard. Featuring curved, thick lines, this modern headboard will fit nicely behind your bed frame. Get the final look you desire in your bedroom with this brave headboard. SIMPLE & BOLD DESIGN: This headboard from the Libra Collection uses thick and curved lines that will pair great with a contemporary interior. ADJUSTABLE HEIGHT: Find the height that's right for you whether you have a box spring or just a mattress. EASY TO ASSEMBLE: All parts arrive neatly packed for easy assembly- grab a friend and bring your headboard to life! 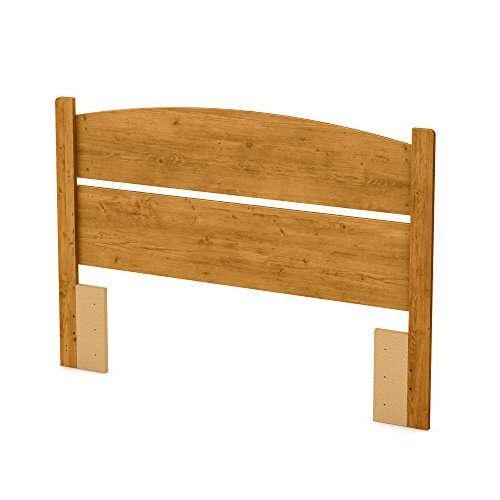 ECO-FRIENDLY: Made in North America with non-toxic laminated particleboard, the headboard's packaging is tested and certified to reduce the risk of damage during shipment. 5-YEAR LIMITED WARRANTY: Shop with confidence knowing that we proudly stand behind this headboard with a full 5-year limited warranty. Assembly is required.